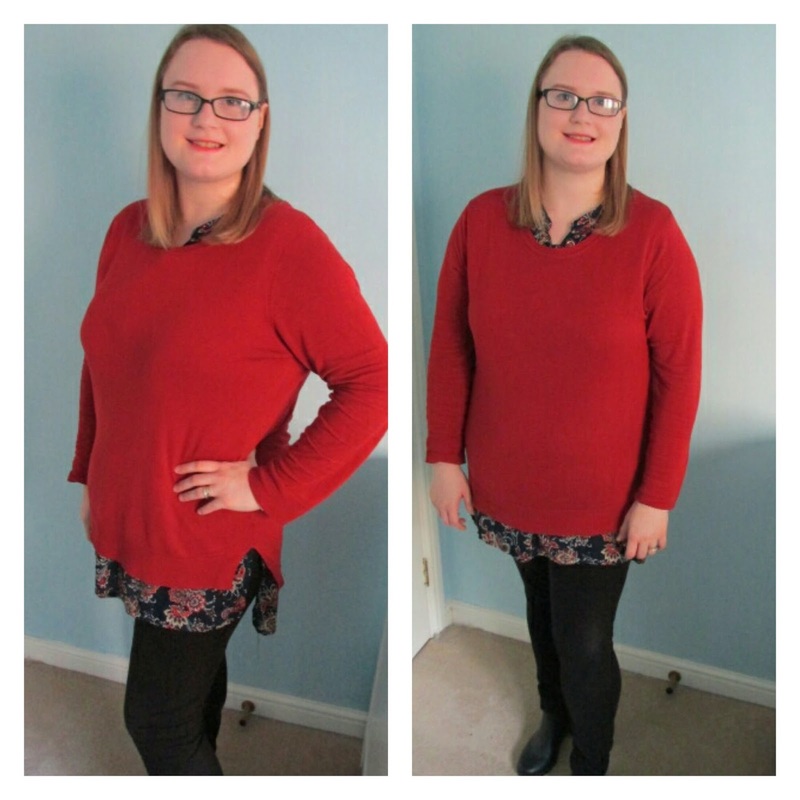 You may remember my post of the review of the Micha wrap dress from Pink Clove which you can read here. I mentioned that it would be great to see more Mum's in clothing rather than model's and fashion bloggers. So I've decided every now and then to share with you some of the things I have been wearing. I wanted to share with you today one of my typical mummy outfits a tunic top and leggings. This is my typical go to outfit other than jeans and a nice top. On this particular day I was looking through my clothing and realised that I didn't own any winter tunic tops. It was pretty cold so I just threw on this autumnal colored rusty red jumper. I think the color goes well with the tunic top I am wearing but I'm thinking it would be a good idea to get a belt to have around my waist as I feel that it doesn't give me much shape otherwise. What do you think? I'd love to know what your typical everyday outfit is. You can't got wrong with a jumper and leggings. You chose a great colour it goes well with your hair and skin colour.